Last week, the Tampa Bay Times reported the Polk County farm was ordered in 2008 to pay $1,634.72 to four workers who were paid less than the minimum wage at that time, which was $6.79. The Times obtained records from a federal Freedom of Information Act request that detailed how a civil penalty of $250 was assessed against the business for not disclosing employment conditions to workers and not keeping employer records. At a meet and greet campaign event in Jacksonville Wednesday, Putnam insinuated the investigation was a fishing expedition. The investigation began in early 2008, a year before former President Barack Obama was inaugerated. Putnam also said the “book-keeping” errors were isolated incidents. 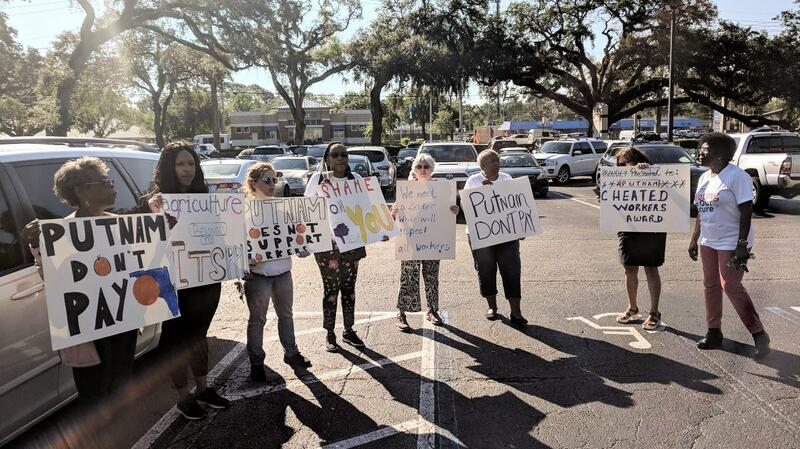 Protesters from progressive-leaning group For Our Future greet Adam Putnam in Jacksonville Wednesday. the Mandarin neighborhood location of local chain Beach Diner. Inside, Putnam said he’d protect their right to “yell” about “nothing.” Meanwhile, outside demonstrators were clear about why they opposed his candidacy. Pat McCollough is a Regional Director for progressive-leaning group For Our Future. She said she has worked on farms in her earlier life and that the group she’s organized at Putnam’s event is focused on worker’s rights. “He is the commission[er] of agriculture and that’s a shame that that even happened and that years later it had to be discovered and then also that he didn’t take care of, basically I would say, the working poor,” she said. McCollough also quoted the Time’s article and further criticized Putnam for voting against minimum wage increases during his time in Congress. Putnam seemed unbothered by the protesters’ presence and at the end of his event even jovially engaged them on his way out, speaking with McCollough for a few minutes, captured by FloridaPolitics.com. The two traded laughs and exchanged stories about working on farms. During his stop, Putnam focused mostly on state issues and rebuffed questions about his Republican opponents, opting to take veiled shots at GOP candidate and Northeast Florida Congressman Ron DeSantis for often appearing on national media outlets like Fox News. “I’m focused on running the best campaign that I can run. Washington is not going to fix our problems and Floridians expect their governor to be in their neighborhood — to be in their community. You cannot run for governor from a D.C. studio,” he said. Putnam also the Democratic field after none could give a concise answer to how much the state’s education budget was. He also criticized three of the candidates for saying the read the NY Times and not a local newspaper for their information. Correction: A previous version of this story attributed the news investigation to the Palm Beach Post. It was the Tampa Bay Times. 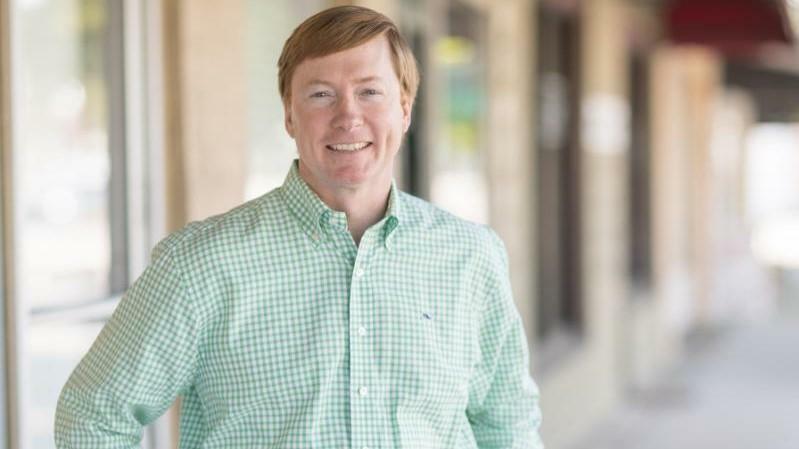 Agriculture Commissioner Adam Putnam continues to dominate the fundraising field in the 2018 race for governor, reporting his campaign’s best monthly total of $2.28 million in March. 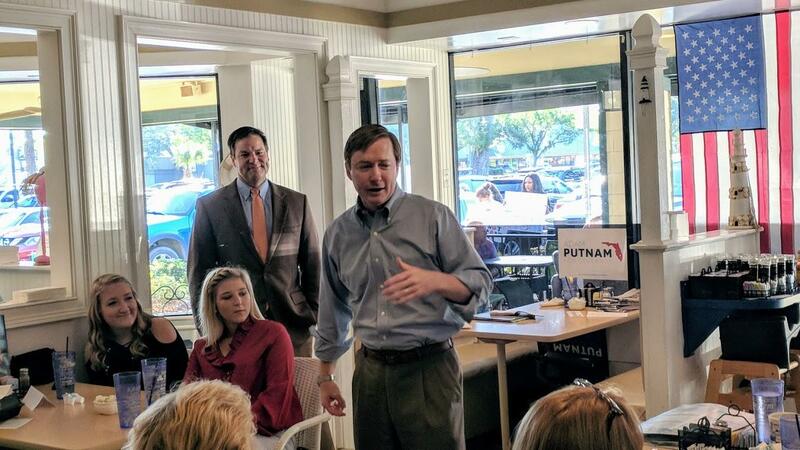 Florida Republican Gubernatorial candidate Adam Putnam spoke to Clay County constituents at Fleming Island’s Whitey’s Fish Camp early Tuesday morning.